Sometimes you just have to be impulsive. Now, there's a huge difference between impulsiveness and recklessness but, much is to be said for taking a carefully placed step into the unknown. 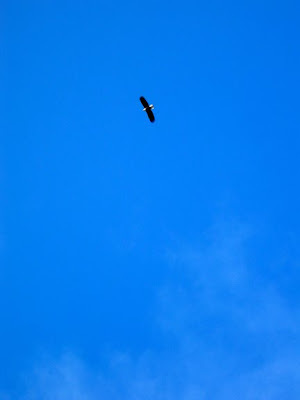 When the opportunity arose quickly last month to visit Alaska I jumped at the chance. Although I was gone less than a week I packed a lot into those few days. 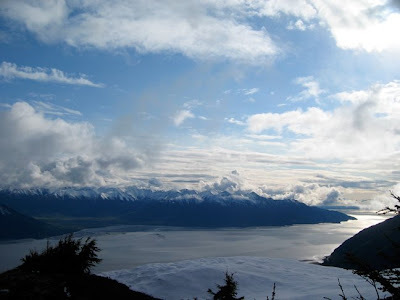 I visited Anchorage, Hope and Seward, camping at the latter two places under a fresh and clear sky each night. 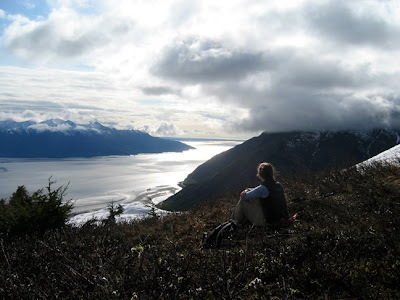 Along the way I climbed 2.5 hours up a mountain ridge, visited Exit glacier and caught glimpses of unsurpassed sunsets, bobbing seals and tidal flats that seemed endless. Talk about recharging your creative batteries! I am back in the studio reinvigorated and the paint is flying while I recover from the cold I caught while flying back to Ontario. I had never been to Anchorage before and this was the starting point of this Alaskan adventure. 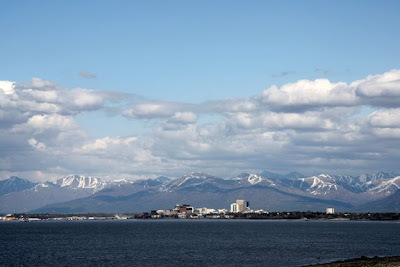 Anchorage is very different from Fairbanks but I like each city for their own unique qualities. 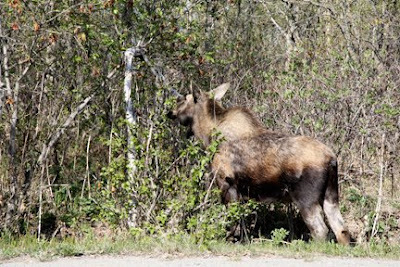 Within twenty minutes of landing I was face to face with a moose by the side of the road! I had never been so close to one before. They tower expertly, stare at you implacably, and I respect them unequivocally. 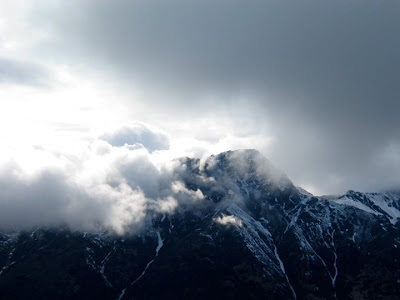 News flash: Alaska is filled with mountains. I get it. I love them. I crave their stolid beauty, always watching us scurrying below, always seeming to have a knowledge that we ants do not seem to possess. However, never had I been witness to the splendor of peak after peak while driving hundreds of miles over five days. 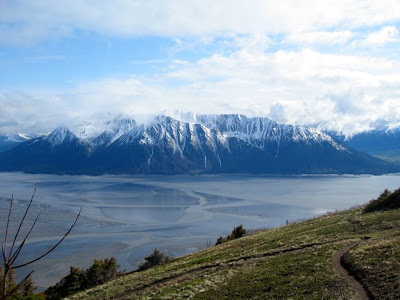 Most of my time was spend on or around the Kenai Peninsula and the drive from Hope to Seward is one of the most picturesque journeys by car that I have ever experienced. 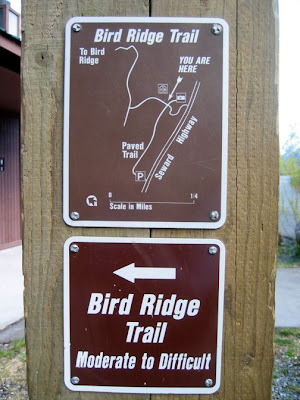 On my first day there I hiked up Bird Ridge, an entirely uphill hike which, I kid you not, many people RUN up....I was not one of them. Very quickly the wheat was separated from the chaff and I knew I had my work cut out for me, but I was up to the challenge. 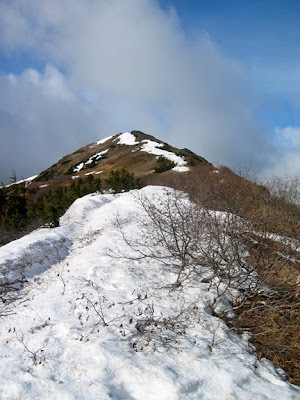 My friend Michael accompanied me and we managed to climb 85 percent of the way up the ridge in 2.5 hours. 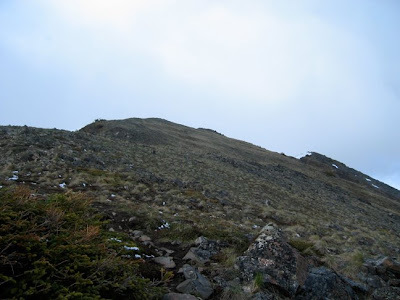 We could have reached the summit but the light was fading and by the time we descended it would be quite late (sunset is around 11:30pm this time of year in Alaska). 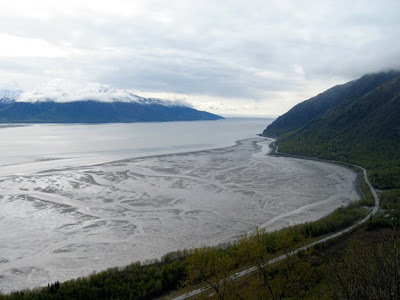 This area of Alaska has huge tides, upwards of 30 feet. It is impossible for large ships to get into the harbor so smaller vessels are the only option to avoid being trapped by the ever changing water levels. The tidal flats which are seen when the water is at low tide were quite hypnotizing. I loved their organic shapes and undulating patterns. It reminded me of a larger example of the human body's circulatory system: a braided filigree of veins and arteries that were echoed here before us in this unique ecosystem. looked right in front of me instead of on either side! The overcast sky cleared as we climbed and the rest of the weekend remained cloudless and rain-free. I wouldn't have cared if it had poured, but the climb would have been even more challenging in slick conditions. There was a moment on the climb when I really had some anxiety as I have issues around heights. What better opportunity to confront those fears by climbing up the side of a mountain? I can't think of a better form of exposure therapy. After watching the runners stride upwards past us we carefully chose our route and had some amazing views in store for us where we stopped near the summit. This view is deceiving. The summit is farther away than it looks. The sun was setting as we turned around to descend back down the ridge. I felt such a swell of gratitude while standing there, a glimpse into how small we really are and how beauty is impossibly infinite. At that moment I knew that I could easily devote my artistic career to trying to echo that beauty by devoting myself to landscape paintings. Fortunately I love the figure and the human form as much as any wispy cornice or craggy cliff so there's no danger of that happening anytime soon. into the passes between the mountains. We thought about how many bears were wandering around down there and were thankful to be above the treeline! We descended quickly, reaching the bottom of the trail in just under an hour. 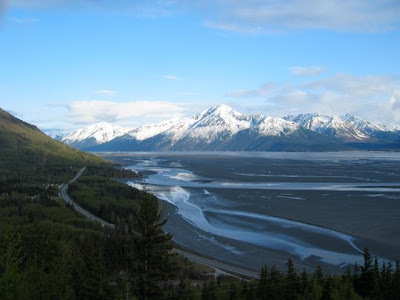 There was a great view of the Seward Highway, surrounding snow-capped mountains, and those lovely veins of water on the mudflats below us. I had never climbed like that before, yet the few brave souls around us practically skipped up and down the ridge. Proof that all experience is relative to each of us, it certainly whetted my appetite to get back out and try the climb again, preferably sooner rather than later. Living 6,300km away won't deter me. 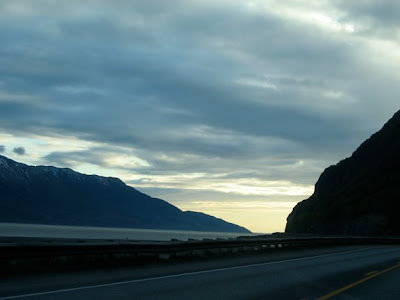 But this was just the beginning of a great adventure in one of the countless, lovely areas of the 49th State. The next day was a trek out to camp overnight at Gull Rock in Hope! 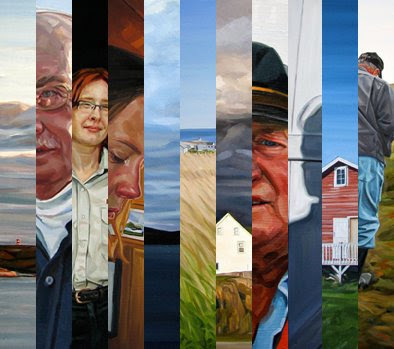 Here again are the details for my solo exhibition about Newfoundland. I hope to see you at the opening on November 6th! Have a beautiful evening, wherever you are!